webOS will find a new home with LG, the Korean manufacturer plans to breathe new life into the platform as the operating system for a new line of smart televisions. 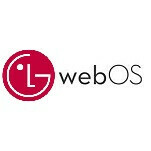 LG announced at MWC today that it will be acquiring webOS from HP. This deal is not a complete surprise, we knew that LG was working with HP and Open webOS for a new smart TV platform. However, it is also a bit of sad ending for what was one of the most innovative mobile operating systems to enter the market. LG is picking up the whole enchilada, the source code, all related documentation, engineering talent, related web domains and all the patents that HP acquired when it bought Palm. The financial terms were not disclosed, be we are certain HP did not make money on the deal. HP started making missteps with the Palm acquisition from day one, and when the company pulled the plug just as it was ready to stock the shelves with a whole new line of products, most people thought (rightly so) that webOS was doomed. There were flickers of hope as HP open-sourced the platform, but the innovative work has been done almost exclusively by engineers in their spare time. Surely it was salt in the wounds of the webOS faithful when HP announced a new Android tablet in Barcelona. Now, this buyout by LG seals its fate. However, LG must know what a gem it has with webOS. While the deal is being touted as a way for LG to develop a new line of TVs, it is still difficult to believe that LG would not try to leverage this platform even though the company has stated it is not interested in using webOS for its smartphones. Skott Ahn, CTO of LG said that the webOS team will be the “heart and soul” of the new LG Silicon Valley Lab in Sunnyvale, California. webOS sites in San Francisco, San Jose and Chicago will also be incorporated into LG’s global research and development operations. If you are a Palm user, there is good news, LG says it will continue to support you. Looks like Korean manufactures have a clear backup plan, both LG and Samsung will now have Web OS and Tizen respectively.. A safe move, indeed they can keep their own identity in addition to their revenue from Android & Windows OS. Come on lg bring web os back. I would spend my money on that. Something everyone seems to be missing here is that LG plans to use it for their smart tvs. Nothing was said about them using it as a mobile OS. I was hopeful when I clicked on the link that that's what their plan was. It's still possible that they may go down that road someday, but for now it looks like it will be strictly for tvs. LG pays MS for every Android device they make. With them now owning the OS, they don't have to pay anyone anything.